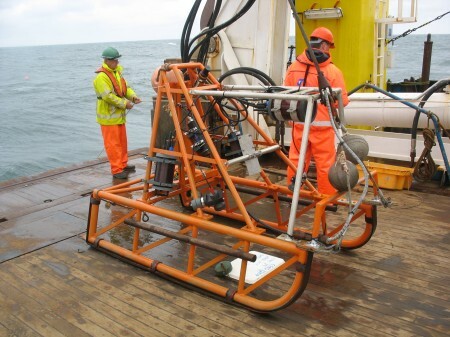 Geologists need to collect samples of seafloor sediments to study them. The data collected from these samples will help develop an understanding of the physical elements of the marine environment. 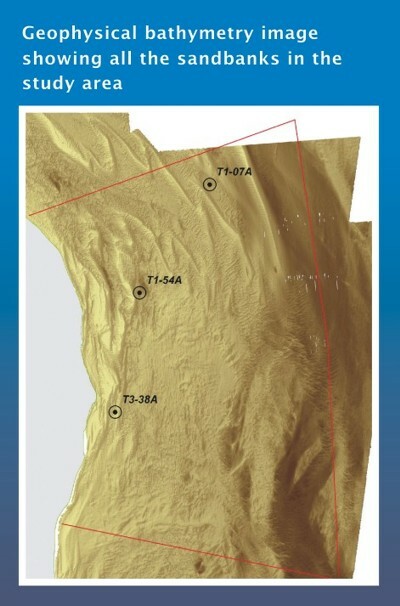 From this information the geologists will be able to map what the seafloor is made of. Another key element of the geologists work is using geophysical survey to collect information about the physical properties of the seafloor. They use this information to create maps of what the seafloor looks like. You can find out more about these techniques on the Geophysical Survey methods webpage. 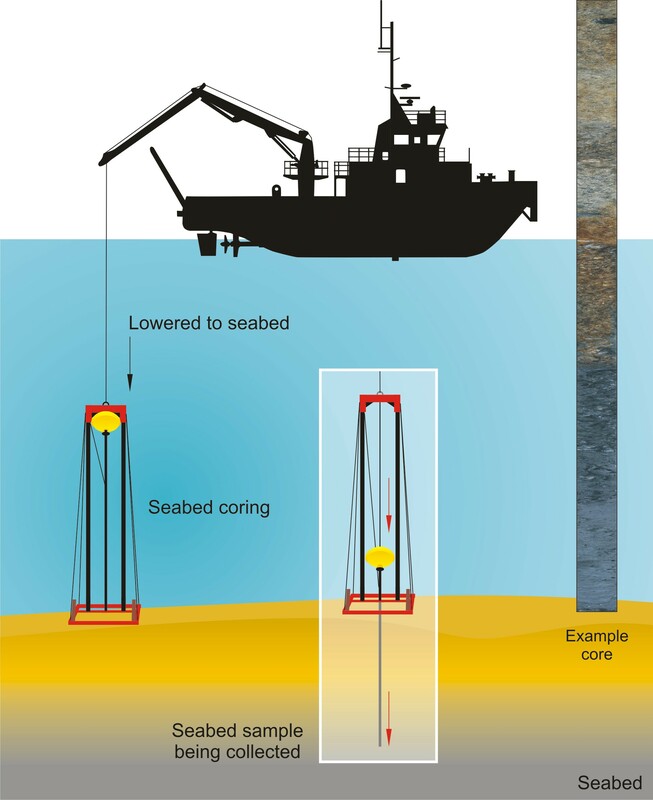 What methods did the REC geologists use to study the seafloor? Geologists use a wide variety of methods to collect their data. The REC geologists used several of these methods. These are described below. Each of the four REC studies is unique and geologists adapt their methods for collecting information depending on the local environment and the research questions that are being asked. While all four REC studies used the same key methods, they may have used them in slightly different ways. The following section outlines the key methods for studying the ecology of the REC study areas. What is a Desk Based Assessment? What is a Desk Based Assessment (DBA)? Geologists examined information from a variety of sources to build their understanding of the physical properties of each REC. There are two main ways that the geologists collected data, through their own fieldwork and through reviewing information already available. 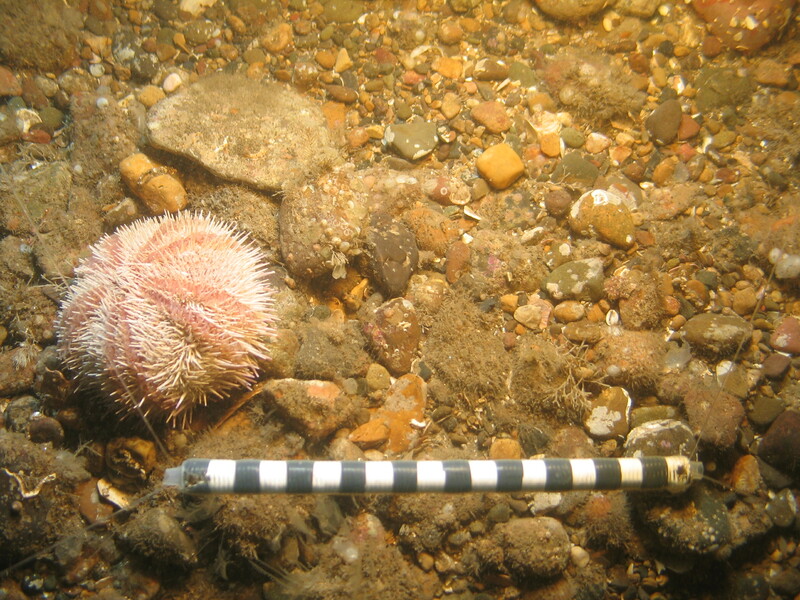 Fieldwork involves collecting original data for the purpose of the research aims. A Desk Based Assessment (DBA) collects and summarises in a report information about a defined area, in this case the REC. This includes any relevant research already undertaken and other sources of information about the physical properties for the study area. A DBA is useful as it brings together many individual pieces of work into one place so people can reference it easily. This information is usually created by a variety of different organisations for a variety of different reasons. The detail the DBA goes into is affected by time, money and the aims of the project. Often DBAs will tell where you can find information, with a brief summary of what it is and its significance, rather than repeat ALL the information in a new report. For geologists this includes collecting geophysical survey and sample data from previous projects that are located within the study area. The Clamshell Grab collects large volumes of sediment from the seafloor. It is operated by hydraulics and has a capacity of up to 300 litres. It is lowered slowly to the seafloor from the side of a boat to collect a sample of seafloor sediment. 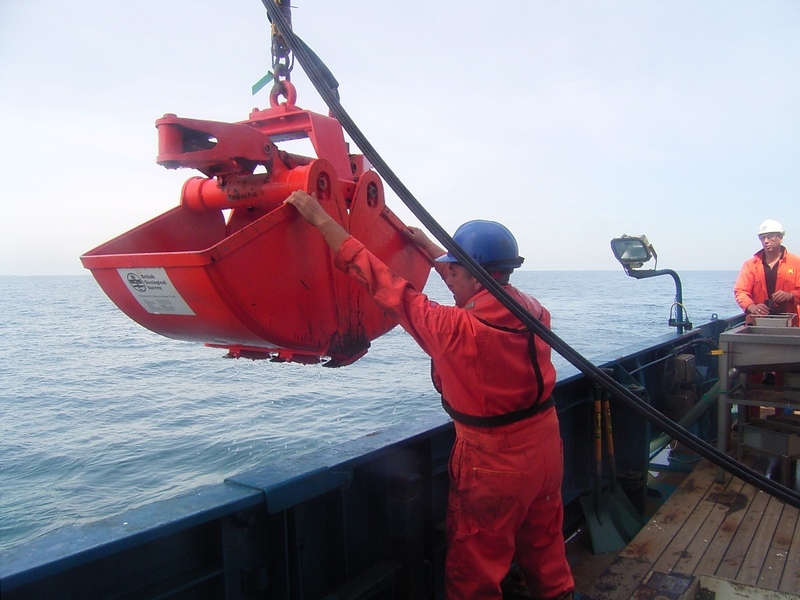 When it reaches the seafloor a mechanical arm drives a large bucket through the sediments. This means it is only used where the seafloor is made up of sands and gravels, rather than rock, where it can scoop up the seafloor. The rest of the sample is sieved using a 5mm mesh to see if there are any small archaeological artefacts. 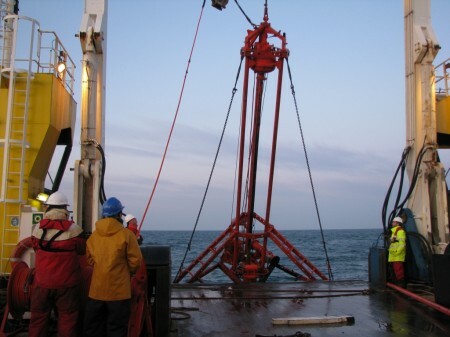 A similar Hamon Grab, also used by the REC ecologists, can be used to collected seafloor sediments for geologists to study. You can discover more about this on our Ecology Sampling webpages. 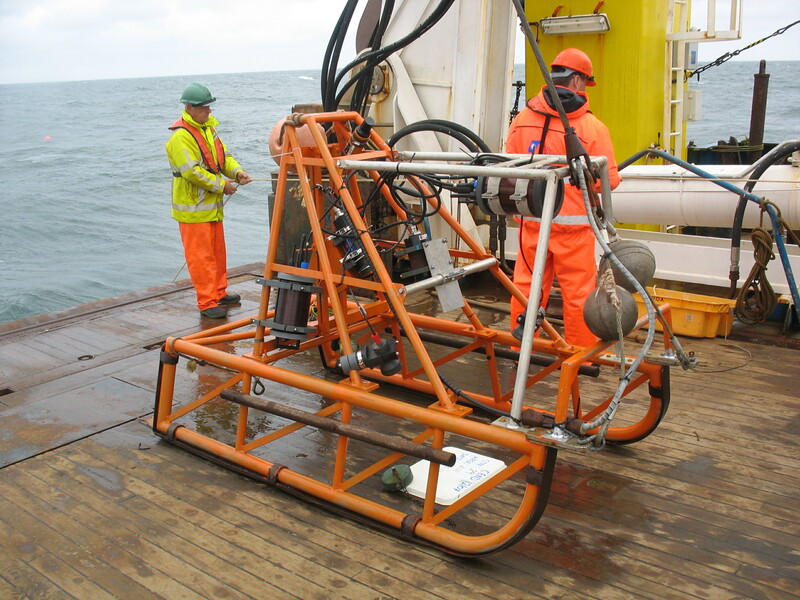 A Vibrocorer uses a long tube to collect samples of sediments from underneath the seafloor. This provides information about the different layers of deposits lying underneath the surface, their character and thickness. The Vibrocorer works by using vibration. It consists of a long tube, known as a core, around 80 – 90 mm in diameter and between 5 and 6 metres long. First, it is lowered from the boat to the seafloor. Once the core is stable, the motor is turned on, which vibrates the core into the seafloor. It is allowed to run until either it reaches the end of the core or it hits a hard layer, which it cannot dig through. Unlike the grab it can penetrate quite hard layers, like clay. At each sample site geologists collect two cores. One is collected and sealed in a container so it can be dated using a technique called Optically Stimulated Luminescence (OSL). In the laboratory the other core is split in half lengthways, for scientists to record sediment grain size, type of sediment, colour of sediment and any other material found within. This material includes shells and bits of wood. Smaller samples are taken to test for environmental evidence, such as pollen, plants, insects and minute animals. This information is used to identify the environments present in the area when the sediment was laid down. Seeing the seafloor helps geologists identify what the seafloor is made of and confirms the results produced through studying seafloor samples. Geologists and ecologists took videos and photographs of the seafloor in many locations around each REC study area. Geologists used this information together with the samples to better understand the geological environment. This method is the preferred technique for collecting images of sea animal communities living on the seafloor. 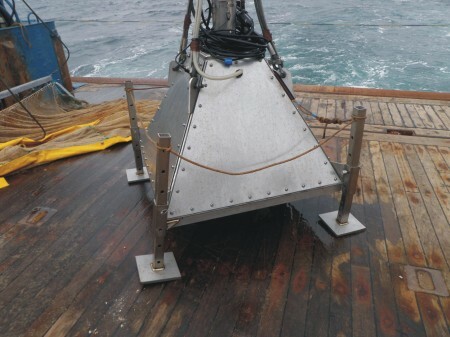 A camera is set on a sledge and towed behind the boat at different locations across the study area. The camera films and takes still images of the seafloor while a computer records the geographical position of the information collected. This method suits habitats or weather conditions where there are lots of sediment particles in the sea water that makes it difficult to see the bottom. It consists of a camera mounted vertically in a square steel frame. The camera looks vertically down through a freshwater tank with a Perspex base, which makes it easier to see the sea bed. Can you guess from its name where you will find this camera? It is a miniature camera attached to the Hamon Grab, used by ecologists. When the water is turbulent the Ham-Cam is towed to take video/film, in a similar way to the sledge. Geophysical survey images are also useful for geologists as they can show geological features such as ancient river channels, sandbanks and patterns on the seafloor such as sand waves. You can discover more about the techniques and equipment for obtaining these images in the Geophysical Survey pages. Geologists analyse the sediment samples collected by either the Clamshell Grab or Hamon Grab to determine their grain size. This procedure is called Particle Size Analysis (PSA). PSA enables geologists to classify all the sediment samples and map their distribution, where they are located, over the REC study areas. You can see the results in each of REC’s Geology sections. There are a number of reasons for doing this. 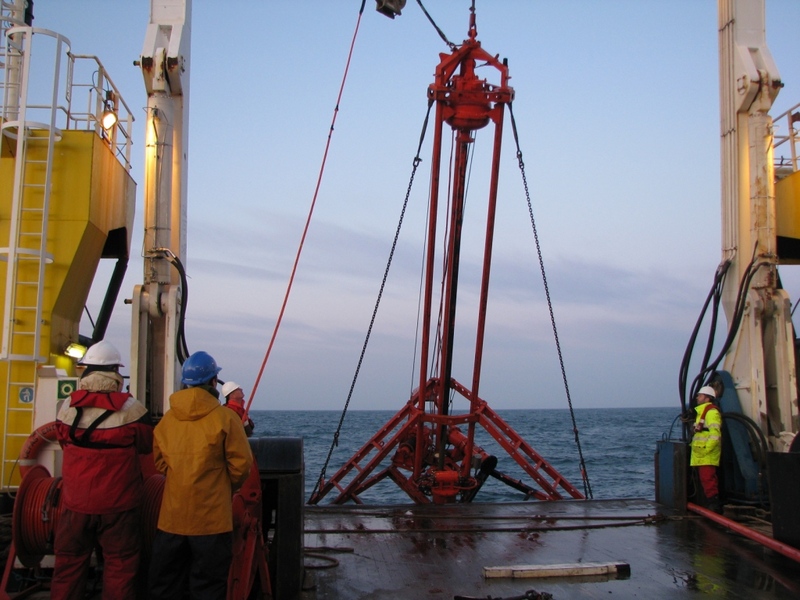 Firstly, studying the distribution of the sediment grain size over the seafloor allows geologists to determine if their location is due to present day sea currents or if the sediment distribution is the result of currents not active today – we call these sediments ‘relict’. Secondly, the geologists need to check what seafloor sediments are suitable sources for building materials, called ‘aggregate’. A tax on aggregate dredging funded the RECs and the dredging companies want to improve their knowledge of the sand and gravel resources available in the REC areas for future dredging. To analyse the grain size of the sediment, geologists pass samples through a series of sieves with different mesh sizes, largest first and then smaller and smaller. This subdivides the sediment into its different particle sizes; for example, finer particles that make up mud, then through coarser sand and up to very coarse gravel. Geologists can then see the different percentages of sediment types that make up the seafloor, for example a sample may be formed of 90% sand and 10% gravel. There is a standardised classification system, which allows geologists to compare their results and decide what overall type of seafloor they are looking at, for example, gravelly sand. This is called the ‘Folk Classification’ system. Robert Folk, a Professor of sedimentology in America, invented it in the 1950s. The Folk system is commonly used because it allows the different sediment grain sizes and bottom current strength to be measured and compared. This gives the geologists information on water current activity.